The Bully in the Baby? Infants don’t really have what it takes to be bullies. They simply lack the physicality—the strength and coordination and mobility—to be aggressive. But are some of these babies already little bullies inside, just waiting to show their dukes? That may sound like a cynical view of human nature, but it’s basically what some new research is suggesting. While only a minority of toddlers are habitual bullies, this aggressive tendency appears to emerge right along with the motor skills that make it possible—by age one. What’s more, such playroom roughness appears linked to the mothers’ own problems with mood and conduct. Psychological scientist Dale Hay of Cardiff University in Wales led a large team of investigators looking for the roots of early childhood aggression. They interviewed more than 300 pregnant women, whom they had found through a midwifery clinic serving at-risk mothers. They focused on these mothers because earlier research had pointed to a number of maternal risk factors for childhood and adolescent aggression, ranging from social class and education to smoking, depression and conduct disorders. The scientists interviewed and evaluated the mothers during their final trimester of pregnancy, and then observed both mothers and babies at 6, 12, 21 and 33 months. A number of mothers dropped out of the study for various reasons, leaving a total of 271 babies, both boys and girls. To get a close look at these babies, the scientists invited them and their mothers to a simulated birthday party, two to four families at a time. The “parties” took place in comfy rooms filled with children’s toys—picture books, puzzles, teddy bears, a jack-in-the-box. The situation was intended to be normal, but slightly arousing emotionally—a situation in which infants might be aggressive with other infants. 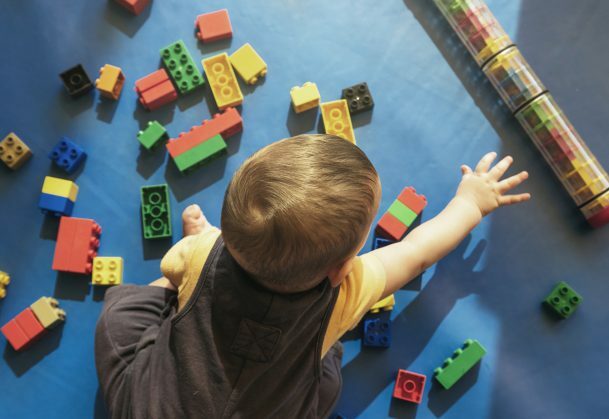 The scientists observed the babies in action, especially their use of bodily force to grab others’ toys, and also asked the mothers about their babies’ usual behavior at home. The results were striking. As reported on-line in the journal Psychological Science, there was clearly a subset of babies, as young as age one, whose birthday-party bullying was corroborated by their mothers’ reports of anger and aggression—suggesting a general disposition in these children. This bullying tendency was not subtle, and indeed appeared within 20 minutes of observation. Just as notable was the connection between aggressive babies and family risk factors: Specifically, the aggressive babies were much more likely to have mothers who were clinically depressed during pregnancy, or who themselves had a history of conduct problems. It’s not clear from this study just how these maternal risk factors translate into aggressive babies. Genes may be involved, or it could be that a mother’s mental health during pregnancy affects fetal growth and heightens sensitivity to stress. What does seem clear—and a silver lining here—is that it may be possible to spot the unlucky infants who are on the road to aggression—and intervene to help them before they are physically equipped to be true bullies. Wray Herbert’s book, On Second Thought, will soon be out in paperback. Excerpts from his two blogs—“We’re Only Human” and “Full Frontal Psychology”—appear regularly in The Huffington Post and in Scientific American Mind. News > We're Only Human > The Bully in the Baby? What about the father’s influence if he has anger management issues? Interesting article about the possible pre-natal/genetic origins or predisposition to bullying behavior. While every child is born with a unique personality, it is intriguing to think that aggression can be inborn subset of behaviors rather than being opportunistic or learned. Susan, I presume they focussed on the mother as there is a lot of research into the psychology of infants that points to the idea that the early infant’s “world” is simply itself and its mother. Although looking at the time frame of this (especially the 33 months), the father’s influence would certainly have an input by then so I see where you’re coming from. Not totally sure on this I suffered anti natel depression and my daughter – now 4 -it’s the mildest child you’ll ever meet.